Hello friends! I have awesome news today. Have you tried breeding the cats that you dreamed of? or just wanted to see animals and play with? 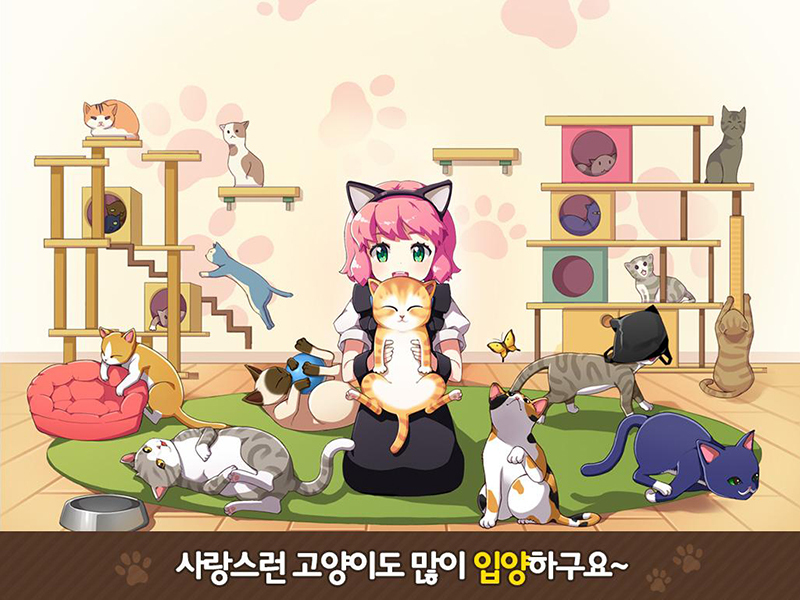 A brand new game, 고양이 다방, Cat Cafe in English, is released! 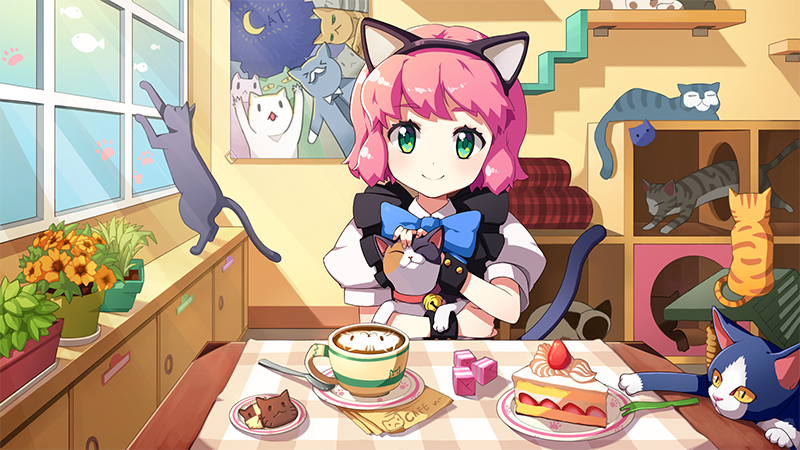 This is a casual SNG game that you can run your own cat cafe. You can provide a service for entertaining a guest by your adorable cats. This is so cute and fun! Everyone can enjoy it easily for everywhere. “Give your pet delicious treats in love! You can adopt cats as many you want and it is so fun to pet your adorable cats. Korean Short Hair, Siamese, Russian Blue, Bengal, Norwegian Forest, Turkish Angora cats and more and more! There are also lots of people in the cat cafe world. 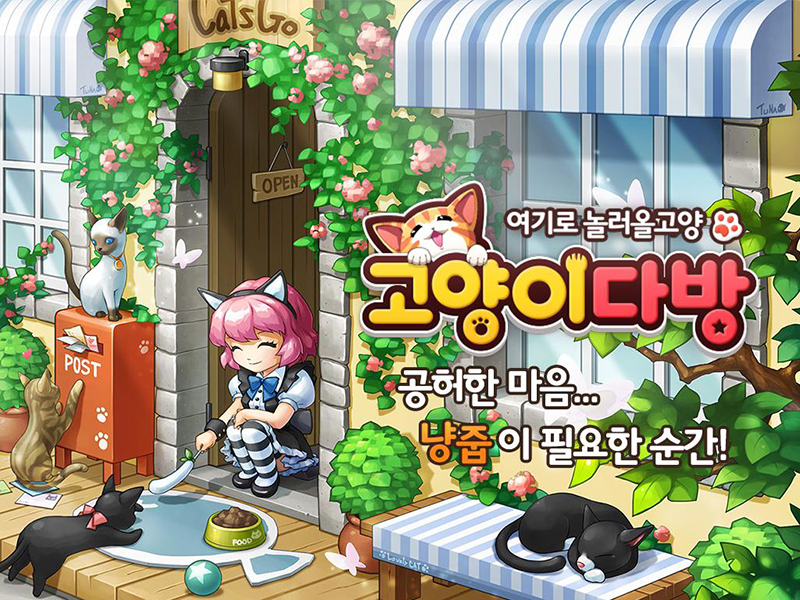 Meet new friends in Cat Cafe and try to give them little help. You can be a top player in global ranking by completing joyful quests. How about decorating your cafe? There are also great themes you may love. From lovely pink theme to classy provence style, hundreds of furniture are ready for you! Make your own style cafe with your pet. This game is not my official project actually, but it was developed based on Hair Shop Friends that I was involved. So I post here and play it together! This game is published by ESTgames.